Bill Rodgers, winner of four Boston and four New York marathons said it best when he stated, “The marathon can humble you.” Of the six marathons I have completed, four were finished with smiles and two were completely miserable. Avoid a bad experience by following these tips! Comment Question: What are your top marathon tips? 1. Injuries don’t disappear on race day. I’m grabbing my leg in the picture because was suffering from a bad case of ITBS. It could have been easily cured with a few physical therapy sessions, a foam roller and some stretching. As a first year teacher, I felt “too busy” to do anything about it. During training I often had to cut runs short because of pain, but somehow thought it would be OK on race day. Injuries are different from tightness or “phantom” soreness. It’s normal to feel tight the week before the marathon. The day before the LA Marathon my good friend Ellen was convinced there was something wrong with her calf even though she had never experienced any issues with her calf during training. There was nothing wrong, she was just nervous. When in doubt, see a doctor. Just do it. 2. Don’t go out too fast. 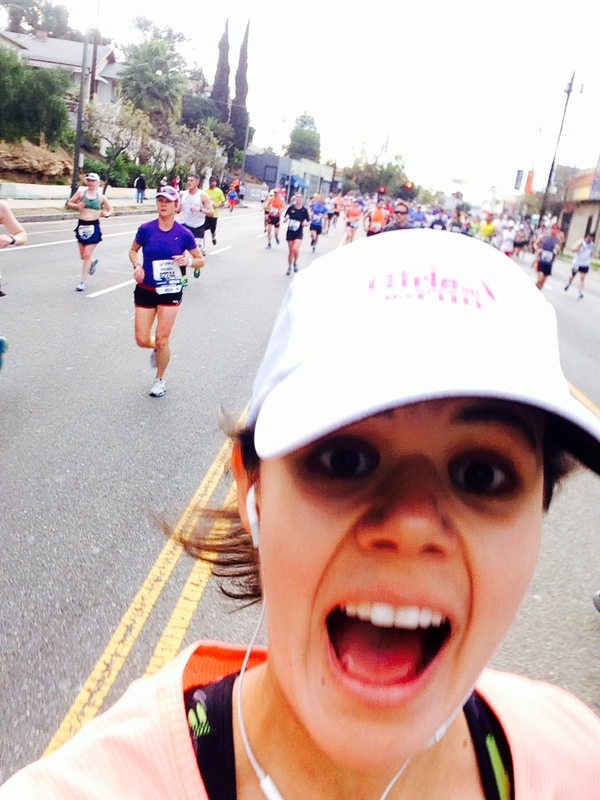 You should be loving life, taking race day selfies, meeting other runners and soaking in the marathon energy for the first twenty miles. If you reach mile twenty and think to yourself, “Ugh. Six more,” rather than “Six more. Let’s do this!” you made a mistake. 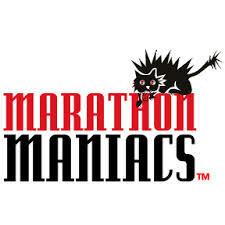 Think of a marathon as a 20 mile training run with a 10K race at the end. Passing people who started too fast will give you even more energy for the final 6.2. 3. Stopping for water is not a waste of time. At least one sip at every water stand. Your body will thank you in the later miles. I also start the race with a mini water bottle so that I avoid the first few crowded water stops and ask friends to bring mini bottles to pass off during the race. 4. Don’t drink gatorade if you haven’t trained with it. You might end up throwing up for the last eight miles of a race. 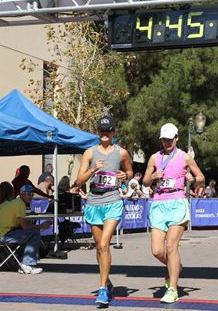 A lot went wrong in Santa Clarita when I finished in 4:45. Deciding to test running with gatorade in my stomach did not help. I ended up throwing up 5+ times, once at the 26 mile point. Shout out to Alaina for walking the last five miles with me, and Carmen for crossing the finish line with me. I have the best family and friends. 5. Adjust your goal if the weather isn’t ideal. I was greedy at Santa Clarita. 86 degrees was not a day to PR. 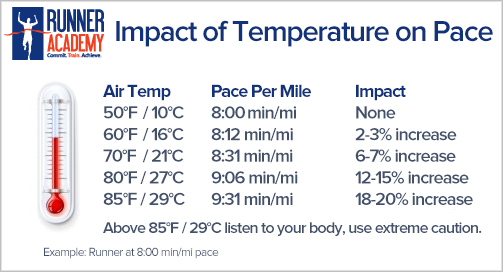 Running 7:50s for the first 16 miles in the heat wasn’t smart. I should have been content with a slower time. Had I started slow I would have finished with a smile and a much better time. 6. 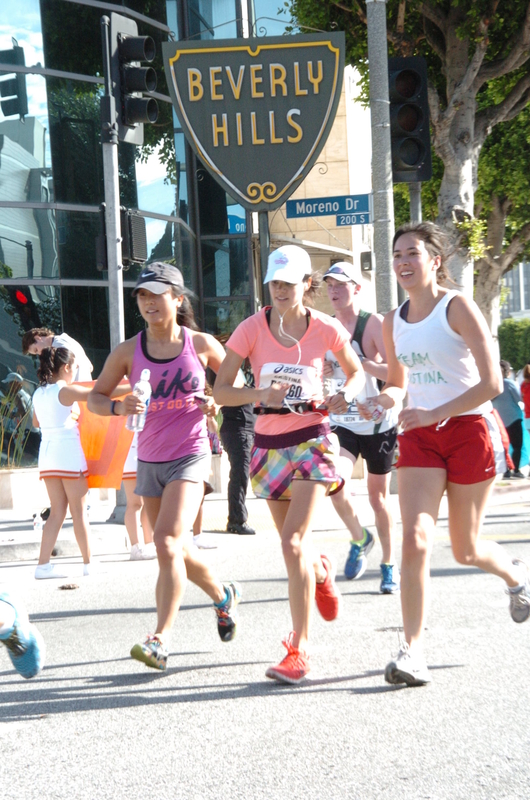 Recruit some friends to run with you for part of the course. Thank you Joanna and Brianne. Miles 14-18 were so much fun! I also appreciated having a water bottle holder. I felt like a queen saying, “Water!” and getting it passed to me immediately. I owe you guys big time! 7. Ask your friends to come cheer for you. Don’t be shy. It helps chunk the race knowing “I’ll see Brianne and Jo and 14, Kathy at 16, Alaina and Ashley at 17, Lauren at 20, Brent at 22.” I used to worry about asking friends to support me because I was worried I might run a bad race and waste my friends’ time. Even if you do have a bad race, there’s nothing better than having people you love there to support you. I was so embarrassed after my failed Santa Clarita race, but my Aunt Donna (a strong marathoner) comforted me with the following. 8. Sometimes we’re just not feeling it. Ever gone out for a run and just felt tired? I’d say at least once a week I go running and my legs just feel heavy and I don’t have the energy to run hard. Taking the taper seriously helps minimize risk of heavy legs and not feeling your best, but you might just not feel your best on race day, and that is OK. Maybe you had a busy week at work. Maybe you’re getting sick. Maybe you haven’t slept well, or something settled strange in your stomach. We are real runners, and life happens. Remember, there will always be another marathon. 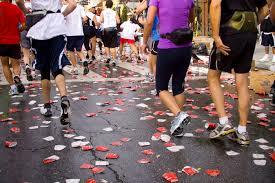 There are 500 marathons around the world annually. Not feeling great, take it as a fun run and sign up for something else. Although I have run six marathons, I am no expert. There is always more to learn. Do you have other tips? Add a comment!